I originally introduced this recipe during my “30 Days of Leafy Greens” challenge in June 2016. It quickly became one of my favorites but it has been a while since I made it. I had one last again last Saturday and I immediately started asking myself, “why have I waited so long to make this again? !” It is that good. While extra sauce or a vinaigrette is not needed – this wrap is so juicy on it’s own – the addition of my Zesty Blueberry Salad Dressing does add some extra zing to the wrap! (The Zesty Blueberry Salad Dressing does not have any oil!) 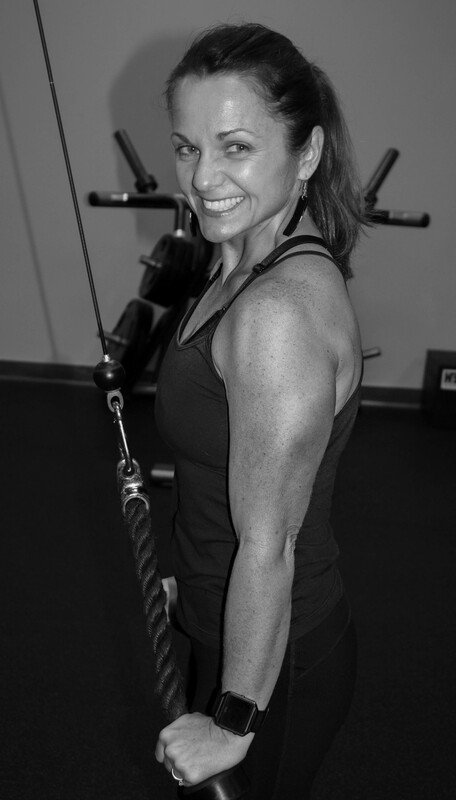 Putting this together couldn’t be easier – you won’t regret giving it a try! Enjoy! 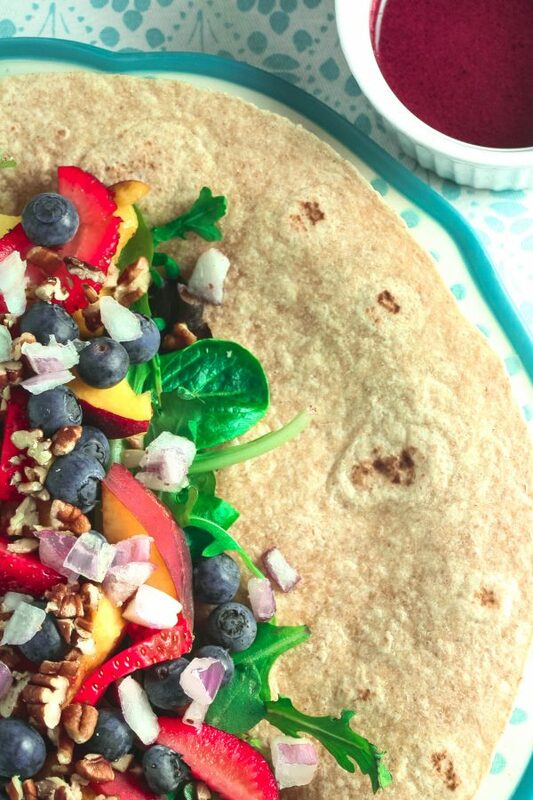 This simple wrap is easy to put together, and you will enjoy the unique combination of the sweet fruit and the tangy spring mix & onions. 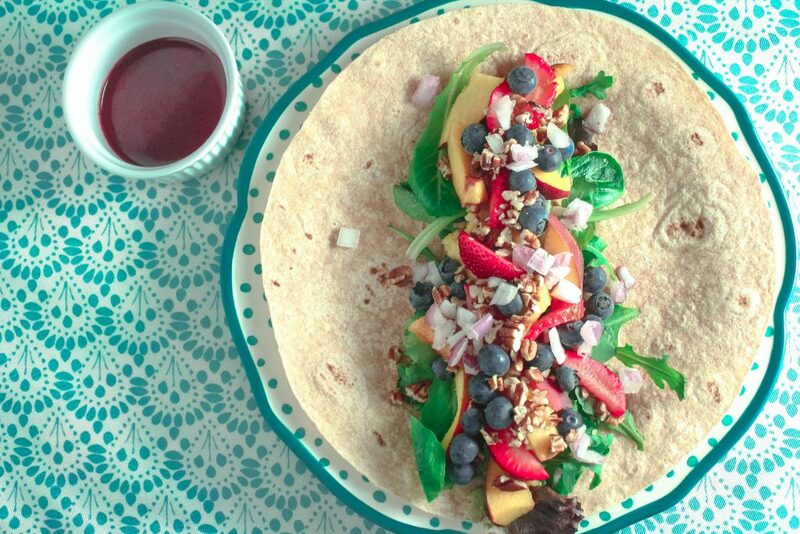 The addition of the my Zesty Blueberry Salad Dressing adds some "zing" to the wrap as well. This wrap makes for a highly nutritious and tasty breakfast - or any meal of the day! Place the tortilla on a plate and warm in the microwave for 20-30 seconds. Wrap the tortilla "burrito style" and enjoy!